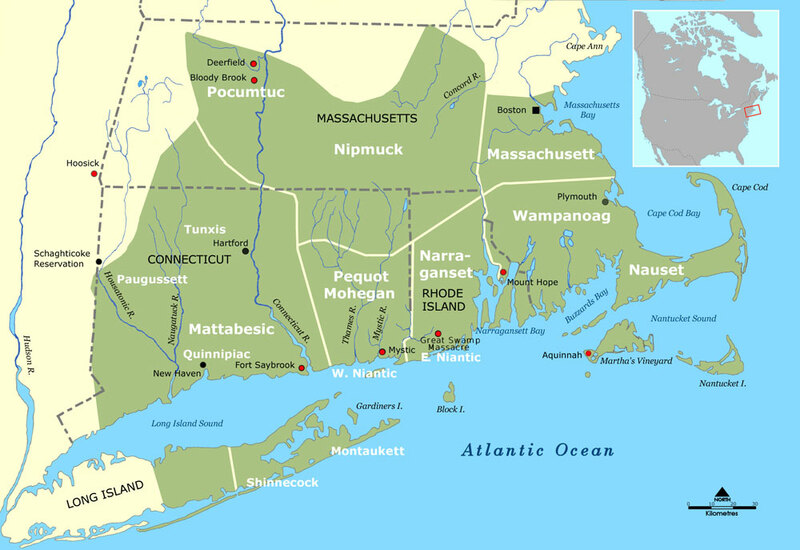 Map of giant reports in North America. Created by Cee Hall. Jim and Hugh are speaking at various events and hosting book launches in November, including the Origins Conference in London on 7th, Glastonbury (UK) on 10th, CoSM in New York on 14th, Ashfield Massachusetts on 17th and Earthkeeper Conference on 21st-23rd in Arkansas. Full details can be found at https://www.facebook.com/giantsonrecord. Giants on Record is published by Avalon Rising Publications (UK) and is available in hardback, paperback, Kindle and other ebook formats. Selection of news accounts featured in the book. The historical record certainly seems to support this reality. Over a two hundred year period, more than 1000 accounts of seven-foot and taller skeletons have been reported unearthed from ancient burial sites in North America. Newspaper accounts, town and county histories, letters, scientific journals, diaries, photos and Smithsonian ethnology reports have carefully documented this. 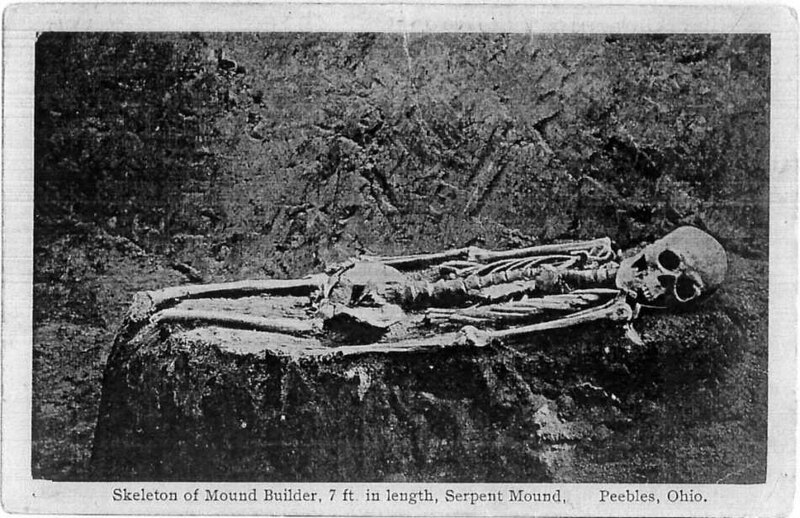 These skeletons have been reported from coast to coast in burial chambers, stone crypts, caves, ancient battlefields and massive mounds. 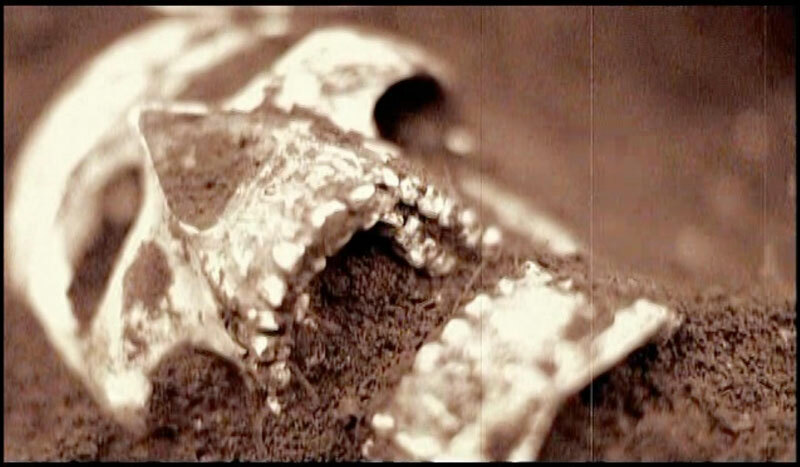 Strange anatomic anomalies such as double rows of teeth, jawbones so large as to be fit over the face of the finder, and elongated skulls, were documented in virtually every state. Smithsonian scientists identified at least 17 skeletons that stood at over seven feet in their annual reports, including one example that was 8 feet tall, and a skull with a 36-inch circumference (an average human skull has a circumference of about 20 inches). 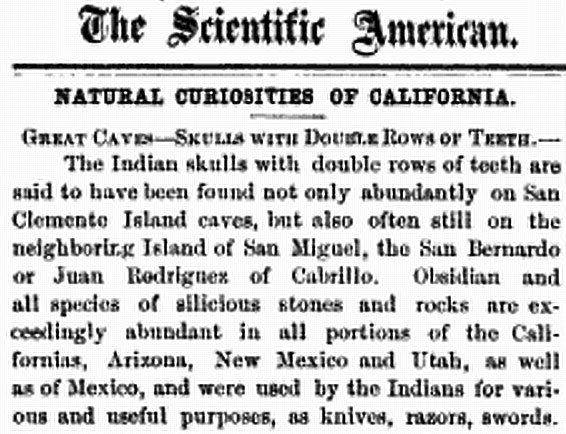 The Smithsonian Institution is mentioned dozens more times as the recipient of enormous skeletons from across the United States. In late 2014, an article from a satirical website claimed that a Supreme Court ruling forced the Smithsonian Institution to admit to the historic destruction of giant skeletons. It was published not long after our Search for the Lost Giants TV show that aired on History Channel. 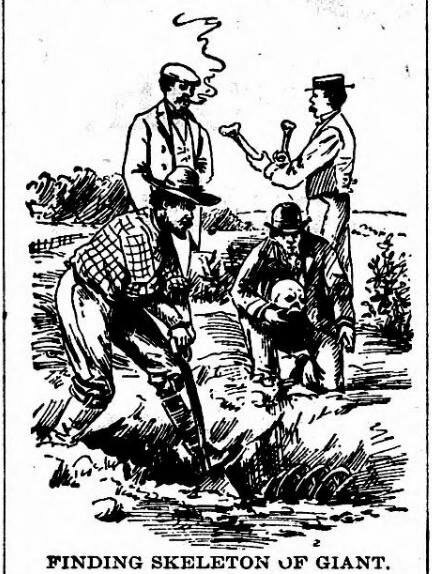 The headline read: “Smithsonian Admits to Destruction of Thousands of Giant Human Skeletons in Early 1900s.” 2 The article was convincing, and this apparent exposé of the National Museum hit a chord with people. Right away, we were inundated with emails from people believing the story was real. In reality, if such a story were true, it would surely be front-page worldwide news. However, when an Internet post is mentioning a startling find and not verifying any of the professionals involved, or real organizations or institutions they belong to, one can quickly conclude that it is a misrepresentation of facts or an outright lie. Maybe someday, however, the Smithsonian will admit to the irony of this story. 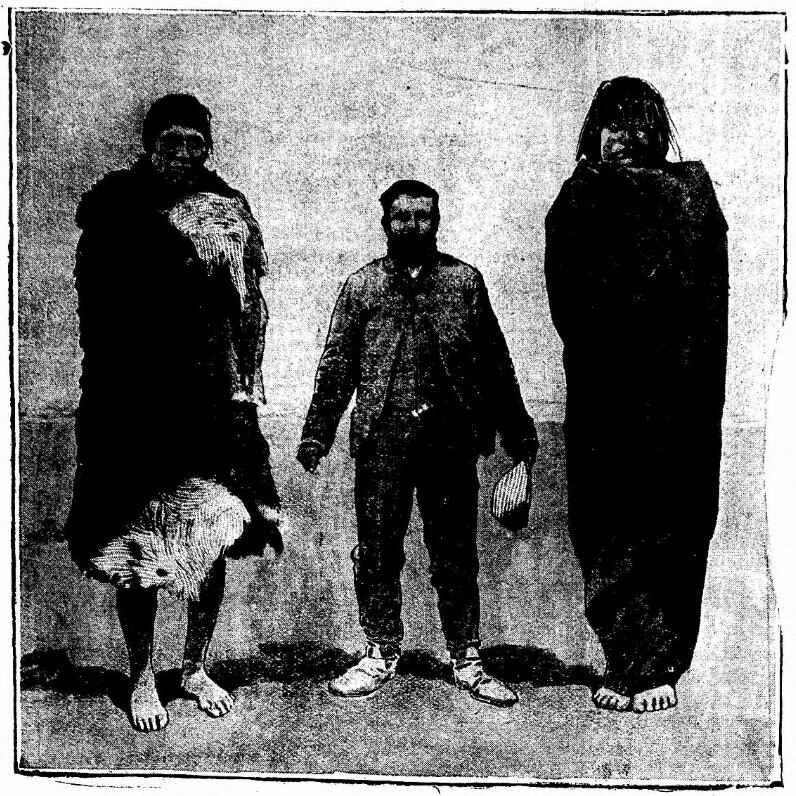 Illustration of the discovery of a giant. 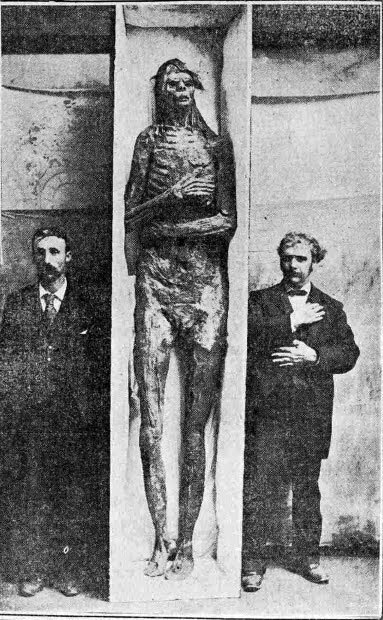 Photo of Les Eaton next to giant skeleton. One of the sources at the end of the artikle, 2. 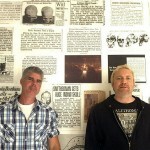 Refers to a fake/satire news site worldnewsdaily report… otherwise awesome work on the book! 😉 cheers! Yes, we know. In the above article we point this article out as being satirical, not as being a true story! Recently finished reading Richard Dewhurst’s book “The Ancient Giants Who Ruled North America”. I look forward to reading yours. I incline toward the Nephilim origin, but there’s much room for intelligent speculation. 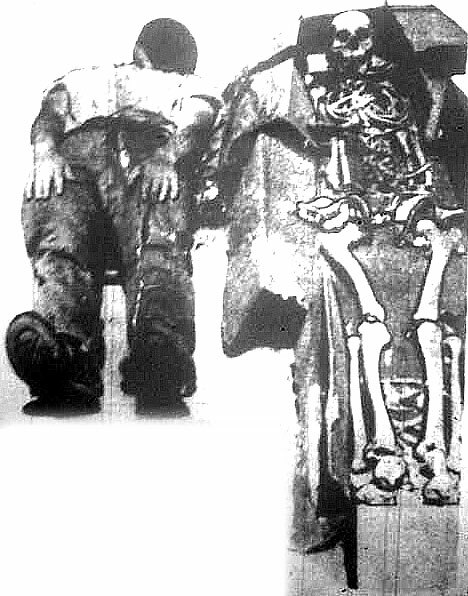 I wish DNA studies could be done on giant remains. Michael Cremo told me he would be happy to believe in the giants, but he needs to see remains first-hand. Thank you for your work. Although I still have a few chapters to go, I’m so excited by the thorough research in your book (which I rushed to buy) that I must congratulate you. 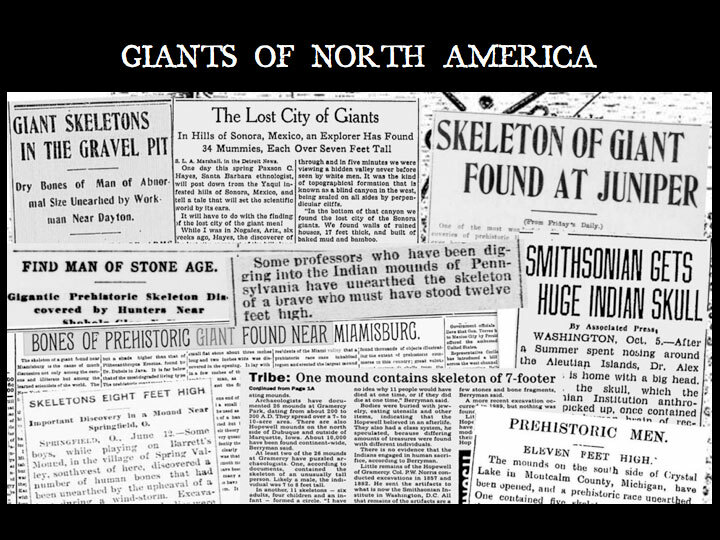 It is looking more and more as though ‘the land of the giants’ might have been the American continent in prehistoric times. I am extremely interested in the accounts you reproduce of horned skulls and the skeleton with claw-like protuberances on the ends of its toes. Do let me know if you come across any other references to animal-like bony growths on skeletons. Where is the conference in Arkansas on Nov. 21-23 ??? I am interested in attending.